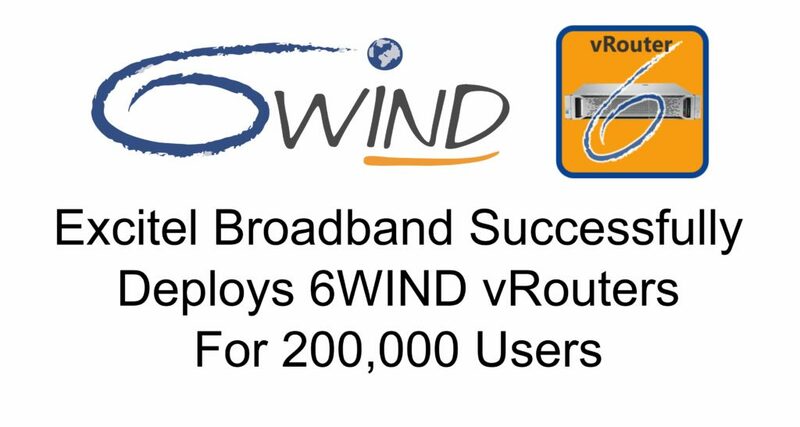 Today 6WIND announced that Excitel Broadband, an ISP providing ultra-fast broadband services in India, successfully deployed 6WIND vRouters for 200,000 users. 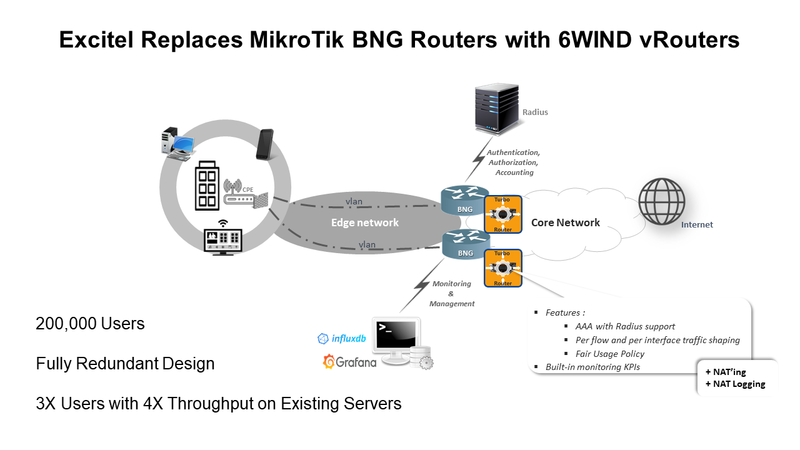 6WIND’s vRouters are deployed in Excitel’s network as Broadband Network Gateway (BNG) solutions through its integrator partner Extreme Broadband Services. For this deployment, 6WIND’s vRouters replaced the MikroTik routers that lacked the scalable BNG performance required for Excitel’s growing business. As a result, 6WIND’s vRouters support 3X users and 4x throughput on the same x86 server platform without any additional hardware investments. 6WIND is proud to work with Excitel’s strategic integrator partner Extreme Broadband Services for this successful deployment. 6WIND recognizes Excitel Broadband and Extreme Broadband Services as leading innovators in the India ISP market and we look forward to continued success working together. Contact us today for your free 6WIND vRouter evaluation. We look forward to hearing from you.